Summary: Incredibly photogenic tornado on a low probability day. 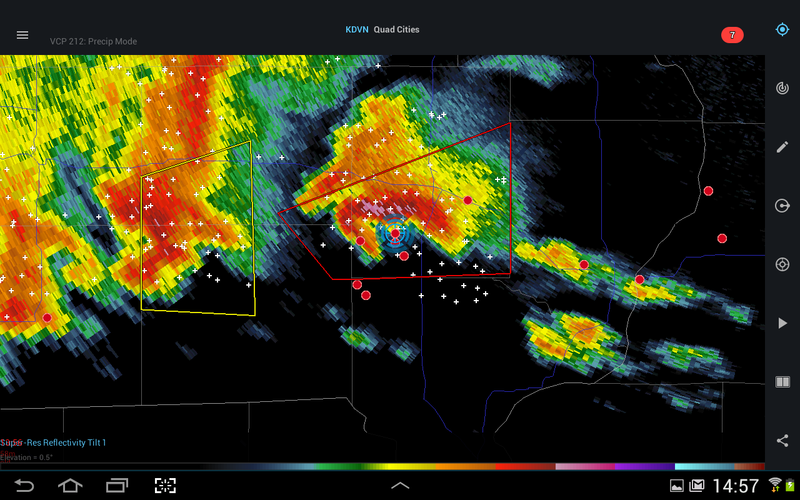 An OUTSTANDING chase in SE Iowa today. Zach and I left Des Moines around 11:30am, intending to play a nice warm front moving into Iowa later in the afternoon. LOTS of low level shear, reasonable CAPE. Morning convection with a following cold front made things difficult as this could EASILY turn into a huge squall line and fall apart. We decided to head East to Iowa City, then south toward Mount Pleasant. A long line of severe-warned storms were firing along the boundary to our southwest. Tempting, but still looked like crap. We saw a breakaway cell in the warm sector on radar. It went severe-warned and had a healthy hail core. so we decided to change our course to intercept. 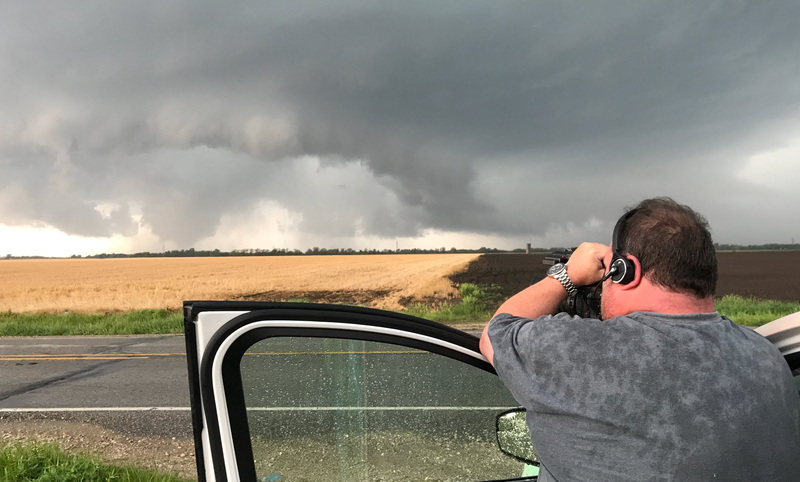 We dropped south of Mount Pleasant so we could avoid the supercell’s hail core and approach from an angle with better visibility. We positioned a few miles north of Salem, IA, where we had a decent view to our West and could visualize the incoming cell. It had a very obvious wall cloud with slow rotation and what appeared to be some funnel attempts. Soon we were treated to a nice cone funnel, then saw ground interaction as it became a tornado. The tornado was moving slowly toward us in a predictable pattern and did not seem to be very strong (moderately weak rotation, very little debris lofted) so we stayed in position and let it pass about a mile to our south while it slowly dissipated. We did not observe a “roping” stage; it just seemed to dissolve. We shot some OUTSTANDING video, and it immediately sold to local TV stations and will likely make national news outlets by morning. This was a fantastic, triumphant day.